Located in the county of Buckinghamshire, Newport Pagnell is a town in the Borough of Milton Keynes. It has a population of 15,000 and a selection of property to suit a range of tastes and budgets. At My Home Move Conveyancing we’ve been developing our knowledge of property markets like Newport Pagnell’s since 2001, allowing us to bring our clients in the town an outstanding, specialist conveyancing service. When buying or selling property in Newport Pagnell, you need to instruct property lawyers to carry out the legal work on your behalf. 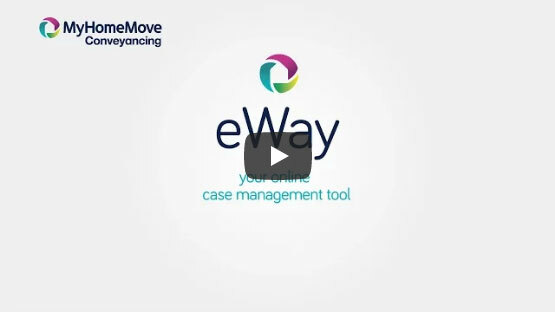 My Home Move Conveyancing offers our clients in the Newport Pagnell area an award winning level of customer service, a revolutionary use of technology and intimate knowledge of the local property market. Our fixed fee conveyancing service comes with no hidden extra costs to worry about, so when you choose us to be your Newport Pagnell conveyancers, you’ll know exactly how much you’re going to pay from the start. For complete peace of mind, if you don’t end up moving, then you won’t have to pay us anything in legal fees thanks to our ‘no completion – no fee’ policy. We’ll assign you a dedicated conveyancer, who’ll take care of all aspects of your case right through to completion. You’ll have a consistent point of contact and regular, easy-to-understand updates. You’ll also get online access to your account, so you can check up on your status whenever you want. At My Home Move Conveyancing we’re proud to assist homebuyers with our conveyancing services in Newport Pagnell, from those looking for something in the town centre, close to Bury Field or in neighbourhoods such as Tickford End. The average house price in the Borough of Milton Keynes is £248,122, while the overall average sale price in Newport Pagnell during the past 12 months was a bit higher than this at £272,875. Most sales in this period involved semi-detached homes, which fetched an average of £278,588. Terraces went for £232,072 and detached properties for £393,110. First mentioned in the Domesday Book of 1086 as Neuport, ‘Pagnell’ was added to the town’s name when it came into the hands of the family of the same name. Once one of Buckinghamshire’s largest towns, it now lives in the shadow of Milton Keynes, from which it is separated by the M1 motorway. It’s less than five miles to get to Milton Keynes from Newport Pagnell, which is where you’ll find the closest train station to the town. From Milton Keynes Central you can catch a train to London Euston in just 45 minutes, while it’s a quick trip down the M1 to get to the English capital. The closest major airport to Newport Pagnell is London Luton Airport, which is around 25 miles away from town. There are some highly rated schools in the local area for families with children to choose between, with primary options including Green Park School, Cedars Primary, Portfields Combined School and Tickford Park Primary. All these schools feed into Ousedale School, which is the town’s only secondary school. If you don’t mind making the short journey to Milton Keynes, Oakgrove School is another option to consider. All properties in Newport Pagnell will fall within one of the following council tax bands.